March 31st was a great day for democracy in Nigeria. It was also a great day for the 53-member Commonwealth of Nations. On that day, the electorate of Nigeria democratically changed their President through the power of their vote, and the government in office, under Goodluck Jonathan allowed it to happen. Democracy and development are two pillars of the work of the Commonwealth. The strengthening of each of the pillars enhances the Commonwealth as a whole, giving it greater moral authority among its member states and in the world. What happens in Nigeria is significant in the Commonwealth. It is Africa’s most populous country (estimated at 170 million) and largest economy with GDP of $510 billion. The economy is the 26th largest in the world. It is now well known that former military ruler, Muhammadu Buhari, has become the first opposition candidate to win a presidential election in Nigeria. It is remarkable that, even before the final tally of the votes, Jonathan telephoned Buhari to concede defeat and to congratulate him. 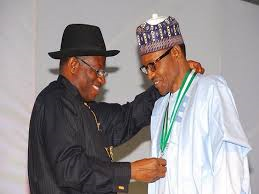 The ritual of conceding defeat with a telephone call is fairly normal in most countries, but it is so unique an event in Nigeria that several respected Nigerian figures, including former Head of State Abdulsalami Abubakar and former Commonwealth Secretary-General Emeka Anyaoku lauded President Goodluck Jonathan for doing the right thing. Abubakar is reported to have noted that it was the first time in the country’s history that a loser called his opponent to admit defeat in a Presidential poll. By conceding defeat in the manner that he did, Jonathan spared Nigeria widespread violence and unrest that many observers had feared might be a consequence of the elections. Had that unrest occurred it would have further set back Nigeria’s economy which has been reeling from the falling prices for oil, the main money earner for its economy. It would also have complicated even more the battle the country’s military forces are fighting against Boko Haram, an insurgent and violent group that has now publicly associated itself with ISIS (or ISIL as it is sometimes called) in the Middle-East. Boko Haram has killed thousands of Nigerians, displaced millions internally and externally, kidnapped hundreds of schoolgirls, and at one time held portions of the country that amounted to the size of Belgium. Since its independence from Britain in 1960, Nigeria has suffered a plethora of military coups and military governments. Its periods of civilian rule have been less than half of the post-independence era: 1960 to 1966, 1979-1983, and 1999-2015. General Buhari himself led a military coup in 1983 and ruled as Head of a Military Council from 31st December 1983 to 27th August 1985 when he also was deposed by other military elements. Civilian governments and respect for the will of the people as demonstrated at elections have had a chequered history in Nigeria. All the more reason for welcoming this recent orderly change of government. Speaking in London earlier this year, General Buhari reflected on his own seizure of power in 1983 and proclaimed himself a reconstructed democrat, committed to the principles of democracy and to upholding them. He said: “The global triumph of democracy has shown that another and a preferable path to change is possible. It is an important lesson I have carried with me since, and a lesson that is not lost on the African continent”. He also made a point about democracy generally in saying: “While you can’t have representative democracy without elections, it is equally important to look at the quality of the elections and to remember that mere elections do not democracy make. It is globally agreed that democracy is not an event, but a journey. And that the destination of that journey is democratic consolidation – that state where democracy has become so rooted and so routine and widely accepted by all actors”. In a telling passage about the value of democracy and upholding it, General Buhari observed: “It is much more important that the promise of democracy goes beyond just allowing people to freely choose their leaders. It is much more important that democracy should deliver on the promise of choice, of freedoms, of security of lives and property, of transparency and accountability, of rule of law, of good governance and of shared prosperity. It is very important that the promise embedded in the concept of democracy, the promise of a better life for the generality of the people, is not delivered in the breach”. Buhari now has the chance to make good on the wider importance of democracy by delivering the benefits to the people of Nigeria that he himself outlined. There is reason to be believe that he will at least try his best to hold to a democratic path after he assumes the Office of President on May 29. His lifestyle in his home State, Kaduna, is said to be modest – a big difference from other political leaders. When he spoke in London he took responsibility for his “dictatorship” under military rule. He went on to say: “I cannot change the past. But I can change the present and the future. So before you is a former military ruler and a converted democrat who is ready to operate under democratic norms”. For all that, Buhari has a huge and difficult task ahead. The country’s foreign reserves are depleted due, in part, to falling oil prices, but also because of bad policy decisions. Given the size of its economy and the decades during which it was a major oil exporter, Nigeria’s infrastructure is very weak and does not deliver water and electricity to a large swathe of its people. The security issues posed by Boko Haram are also a huge challenge. In tackling these problems, General Buhari has the advantage that he is now a popularly-elected leader who garnered support not only from his own Muslim followers, but from the Christian community as well. Because he comes to power by the ballot box, he has the backing of the majority of Nigerians and the international community. If he sticks to his pledge of democratic leadership, he may yet fulfil the dream of which he spoke in London “to work for a Nigeria that will be respected again in the comity of nations and that all Nigerians will be proud of”. A democratic election was the first step, and to this much is owed to vigilant election observer groups. This event may well mark the changing tide in Nigeria’s fortunes.